Knight Foundation is one of many organizations working to push Akron forward. To encourage the city’s progress towards stabilization and growth, Knight invests in public spaces, with a focus on building vibrancy in downtown and surrounding neighborhoods. We believe that great public spaces help connect people to place, advance civic participation and provide quality of life incentives that draw in newcomers and encourage residents to stay. 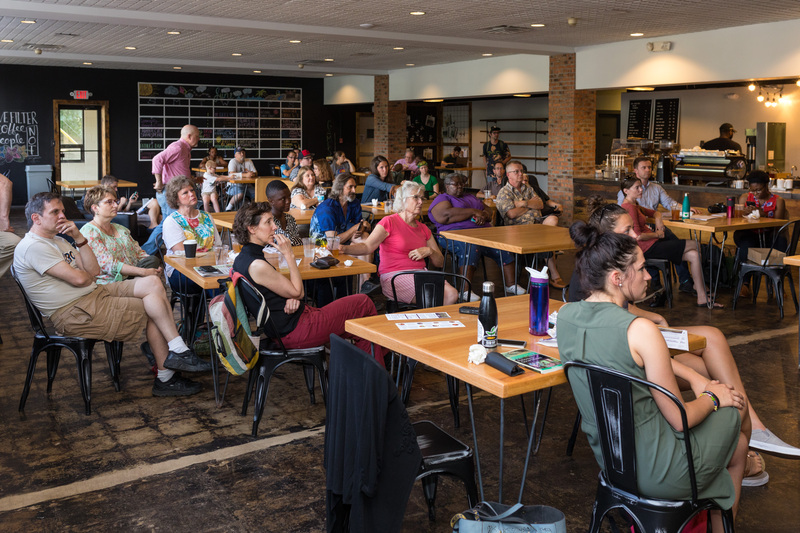 In In 2015, Akron was selected as one of five cities to participate in Reimagining Civic Commons, a national initiative that leverages parks, trails, libraries and other public spaces to connect people across communities. Civic Commons, Downtown Akron Partnership and the City of Akron have engaged the community in a downtown planning process that identified a series of projects to improve neighborhood life. The Akron Civic Theatre’s expansion and adjacent Bowery Redevelopment Project, bolstered by a $4 million investment from Knight, are keystone projects for Main Street revitalization. They also support efforts by the city and private developers to encourage more people to live downtown. 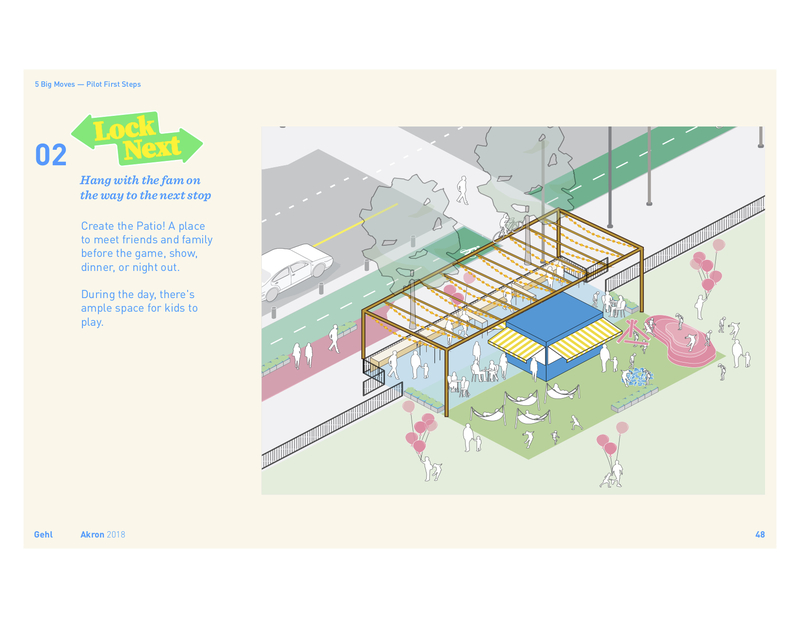 Downtown Akron Partnership also worked with Gehl Studio, an urban research and design consultancy, to complete a Public Space Public Life survey. The study examined how people use sidewalks, parks and other public spaces in downtown, revealing that people are hiding in office buildings rather than exploring the places around them. The next phase of the effort involves a series of projects that invite everyone in downtown to come out and enjoy the city on a daily basis. Here’s what they will find: A section of the fence in front of Lock 3 Park has been removed to make way for “Lock Next” – a pop-up patio for people to meet up and hang out. Northside Green, an outdoor living room in the Northside District, now houses a large mural, furniture and restructured parking lots. Once desolate Cascade Plaza hosts numerous activities during the week including picnics, yoga and food trucks. Akron’s Kenmore, Middlebury and North Hill neighborhoods are doing similar work, designing with residents and the authentic character of the place in mind. With recording studios, guitar shops and nationally renowned Earthquaker Devices, which makes guitar-effect devices like guitar pedals by hand, Kenmore has a burgeoning music scene. To build on the momentum, the Kenmore Neighborhood Alliance hosted “Live Music Now” featuring local bands in a formerly vacant building. The events connected neighbors and helped people imagine a renewed business district. In addition, think tank City Observatory just named North Hill as one of the most racially and economically-diverse neighborhoods in the nation. To build on that strength, Knight helped support the Exchange House, which hosts AirBnB rooms, providing revenue to help sustain the staff, as well as a community space and adjacent park. 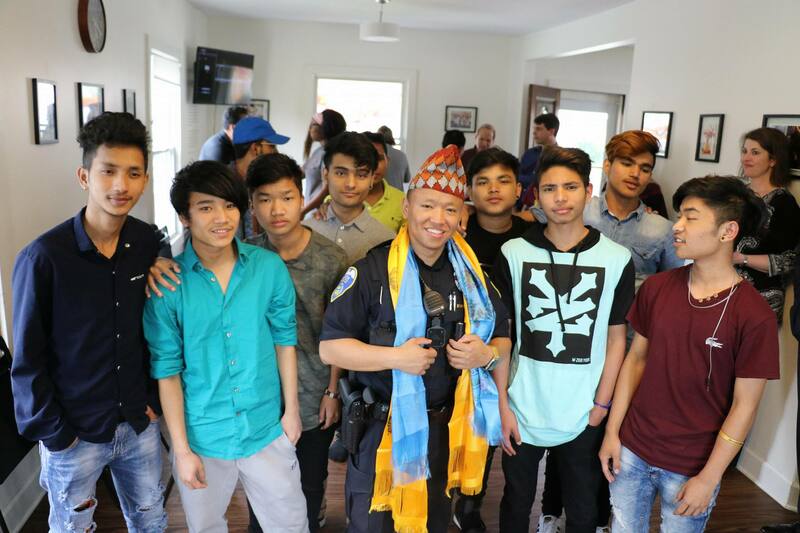 Recent events include a ceremony to honor the Police Department’s first Bhutanese Police Officer, a Gum Dip Theatre performance and the North Akron Community Development Corporation’s farmer’s market. Photo courtesy of The Better Block. As we study successful cities across the country, a refrain that rings true is that talented people have choices, and the quality of a place is very important them. Akron can be a destination for more people. Knight will continue to invest in initiatives that attract them, by enhancing public spaces, revitalizing neighborhoods and inviting citizens to participate in public life. Kyle Kutuchief is Akron program director for Knight Foundation.